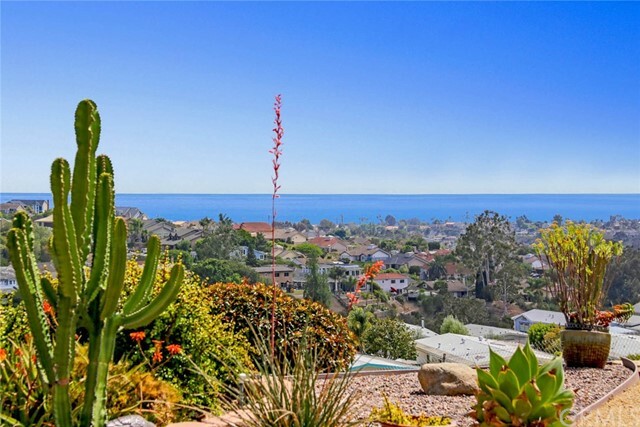 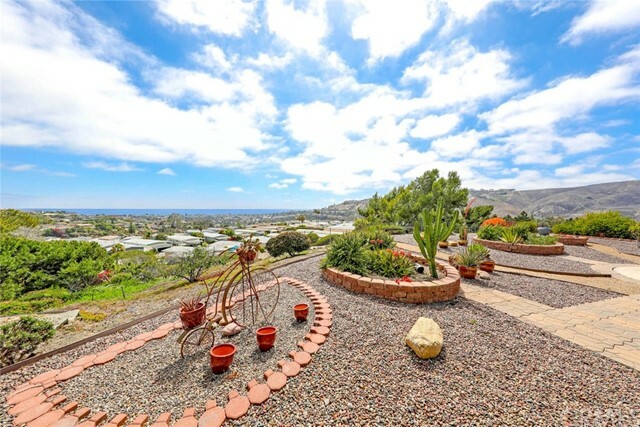 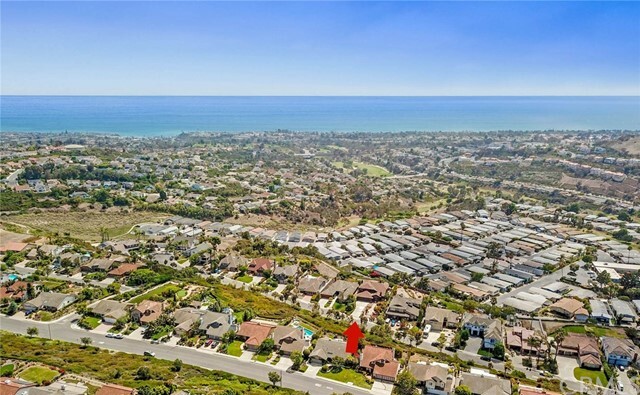 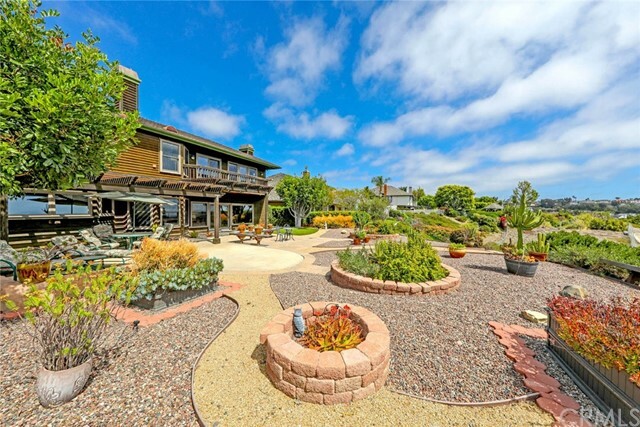 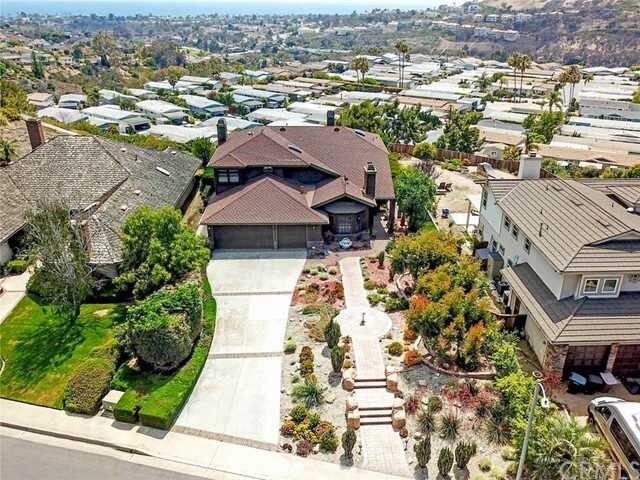 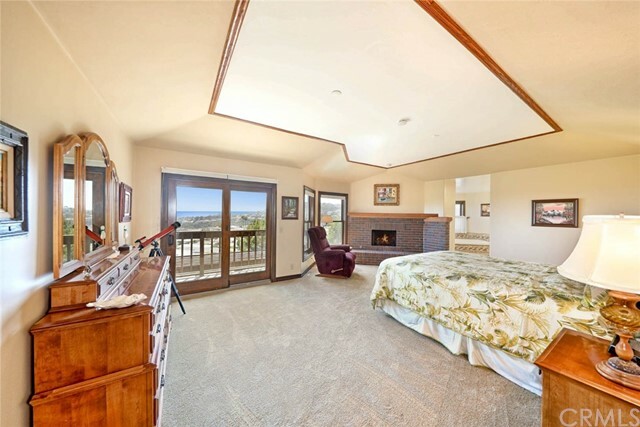 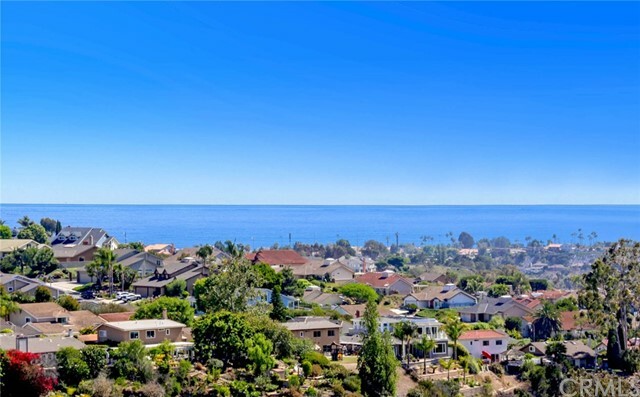 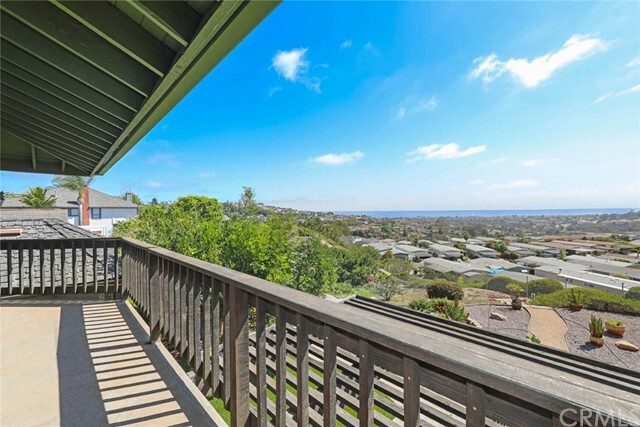 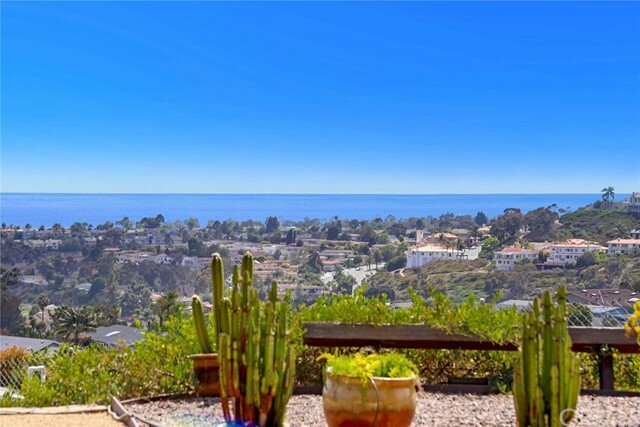 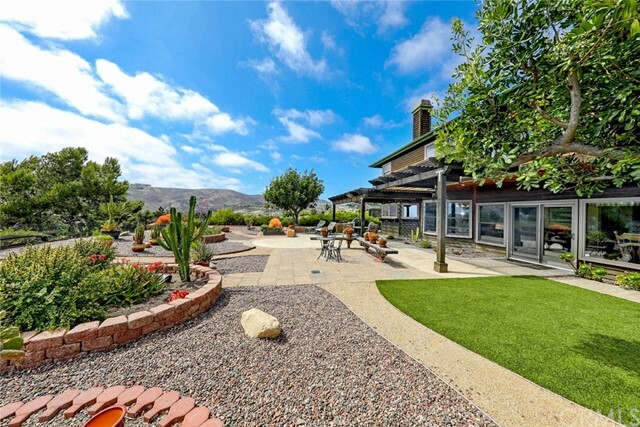 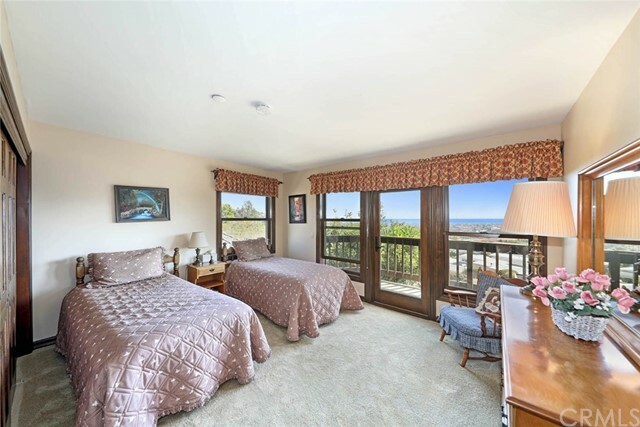 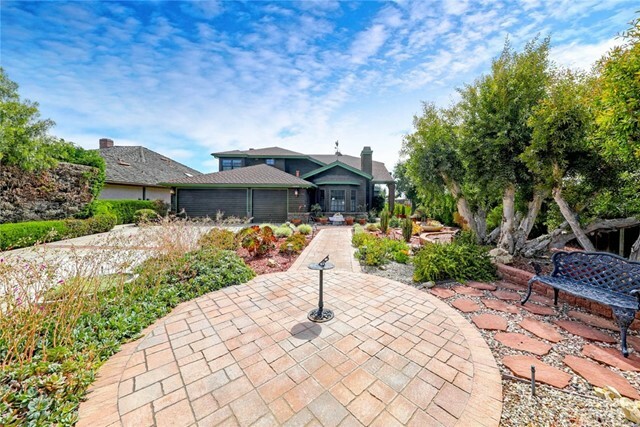 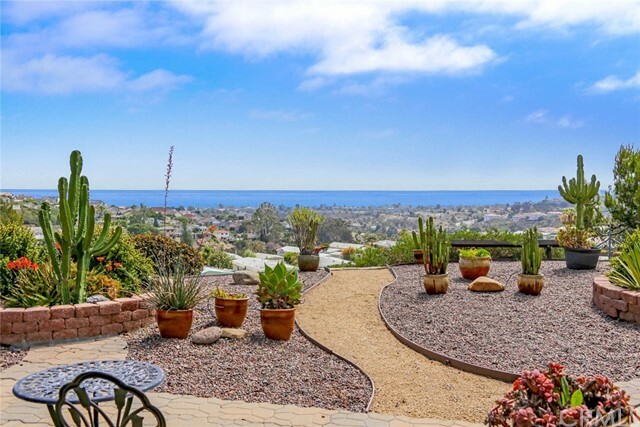 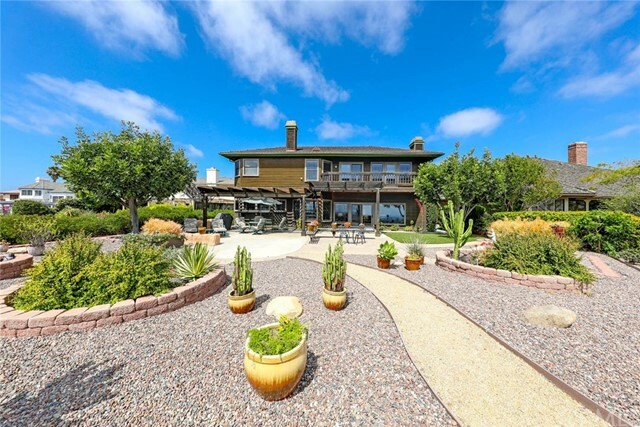 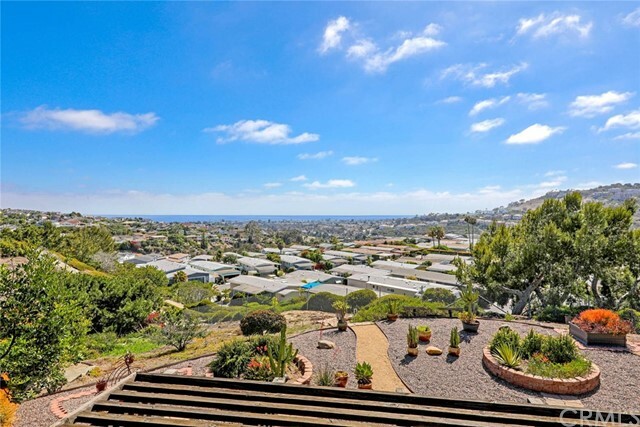 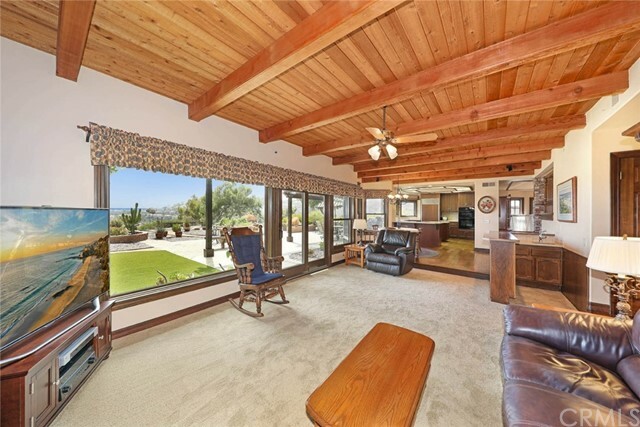 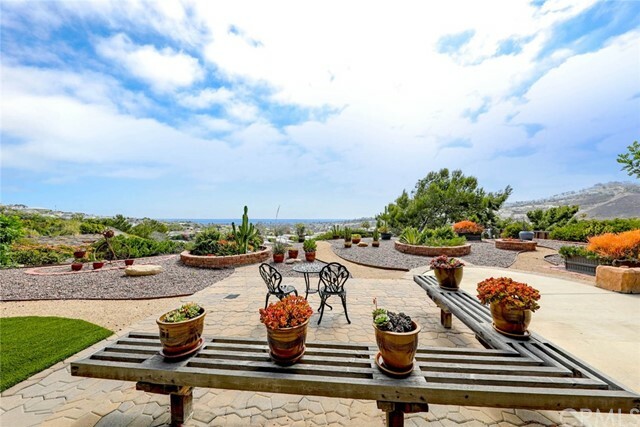 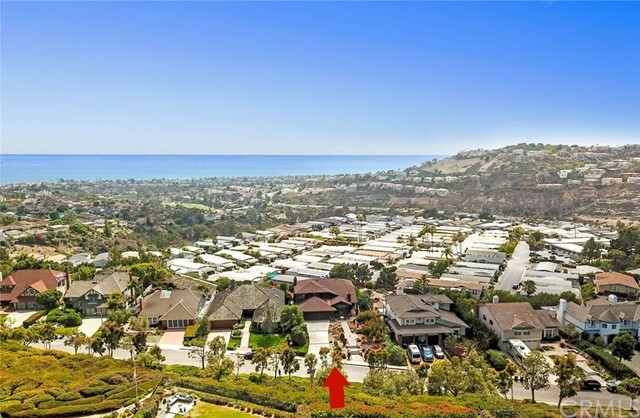 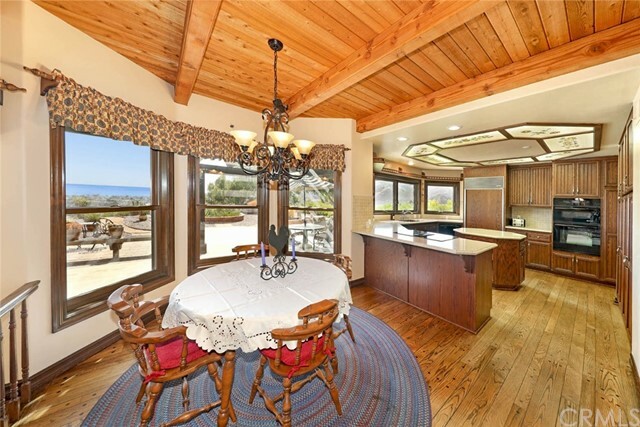 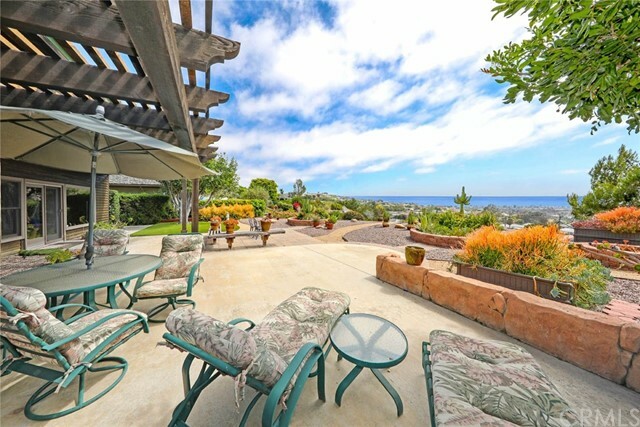 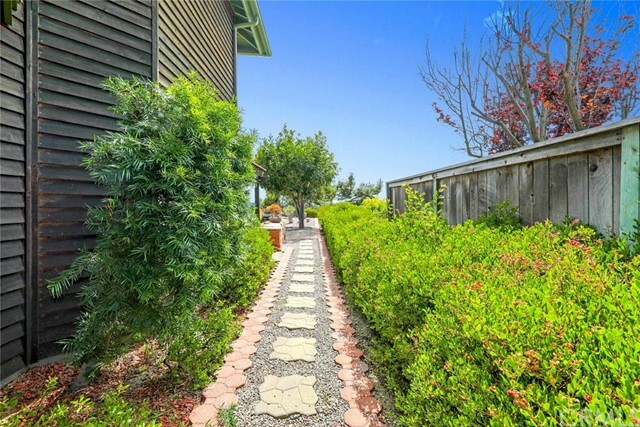 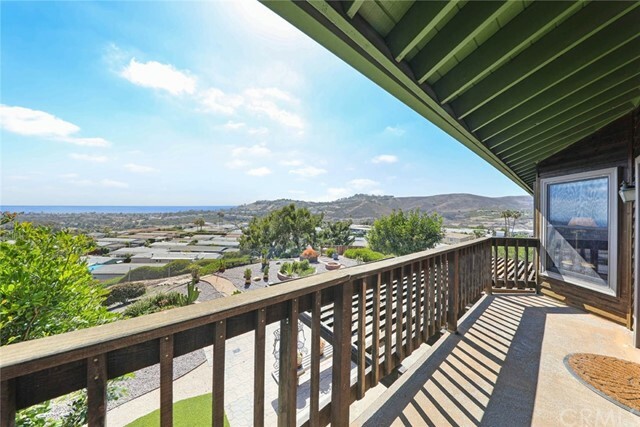 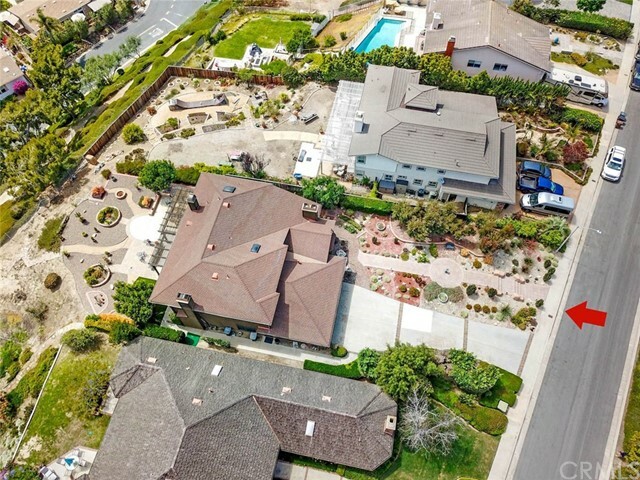 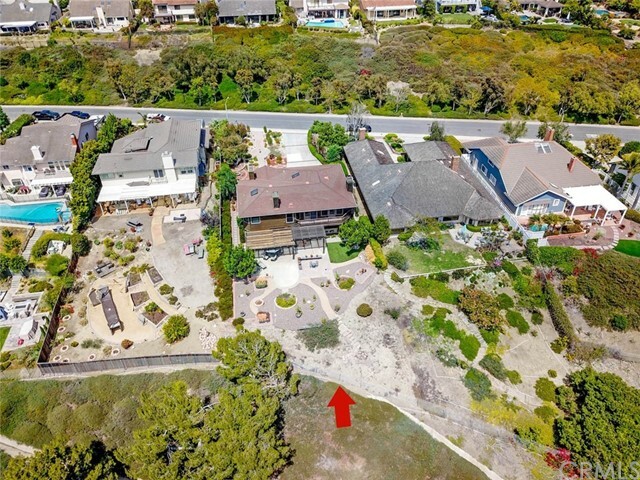 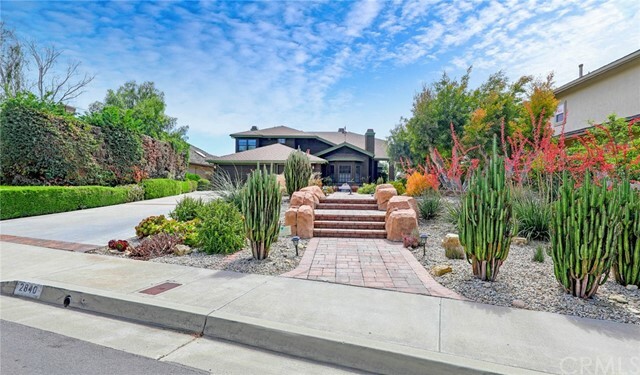 Exceptional setting situated above City Lights with Ocean Views, Coastal Breezes and stunning Colorful Sunsets located in San Clemente's desirable Coast District. 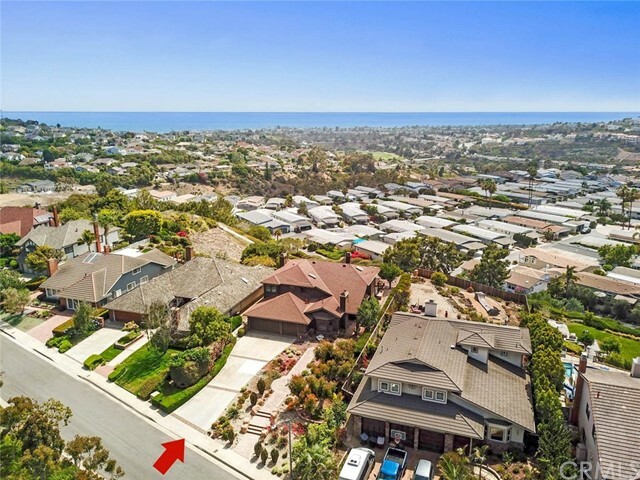 This single loaded street is known for estate homes on large view lots. 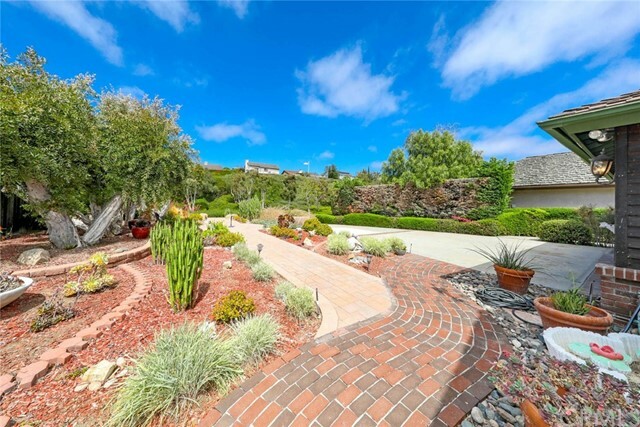 The spectacular grounds of this property are adorned with enchanting pathways winding through the artistic drought tolerant Desert Scape design and succulent gardens. 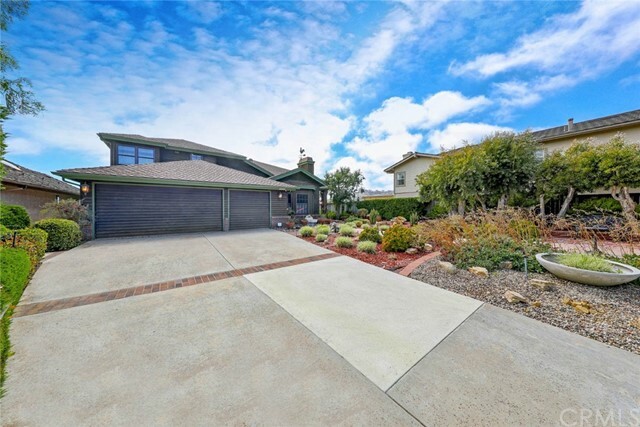 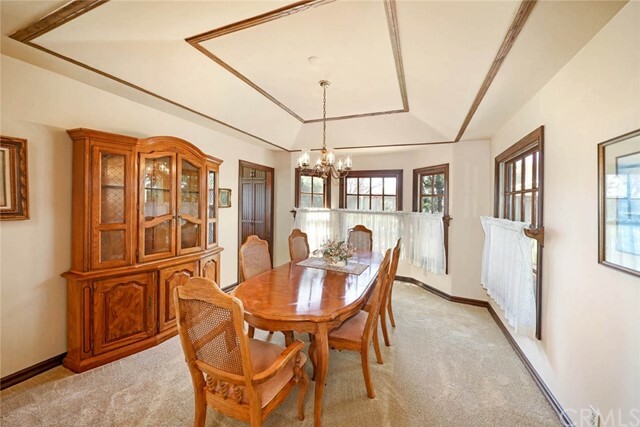 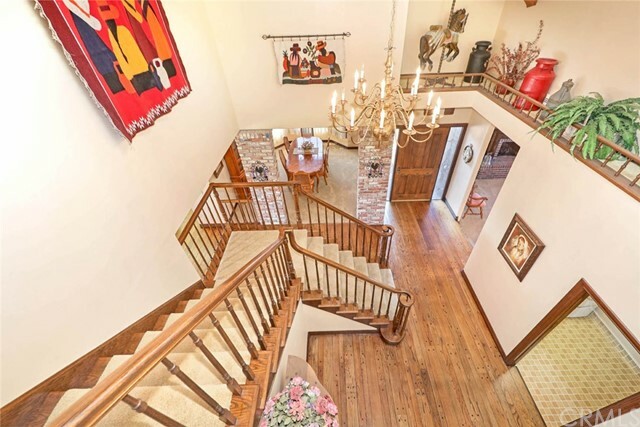 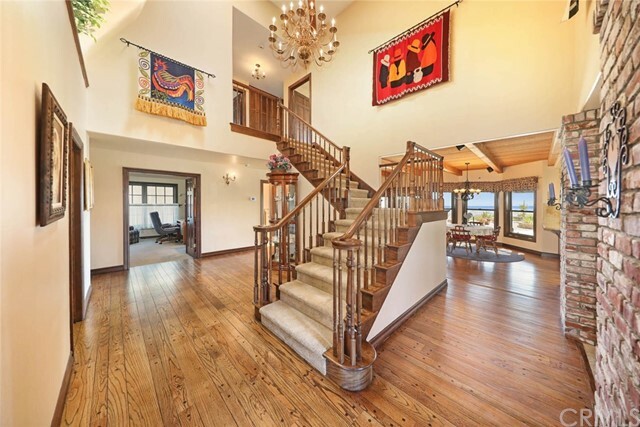 This well maintained home features a dramatic two story foyer with over 3100 sq. 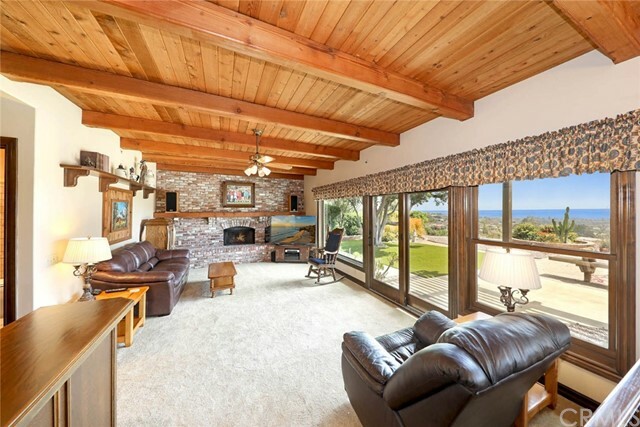 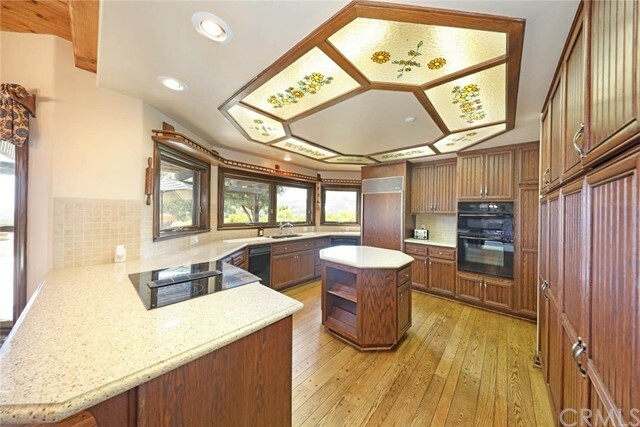 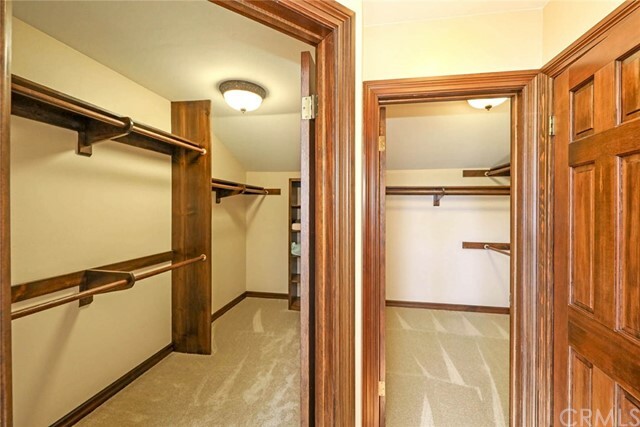 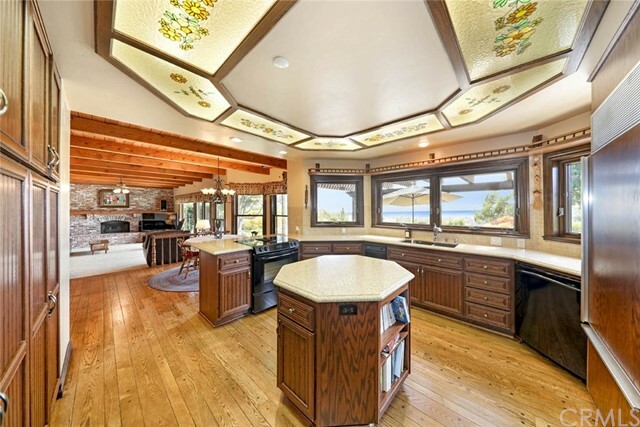 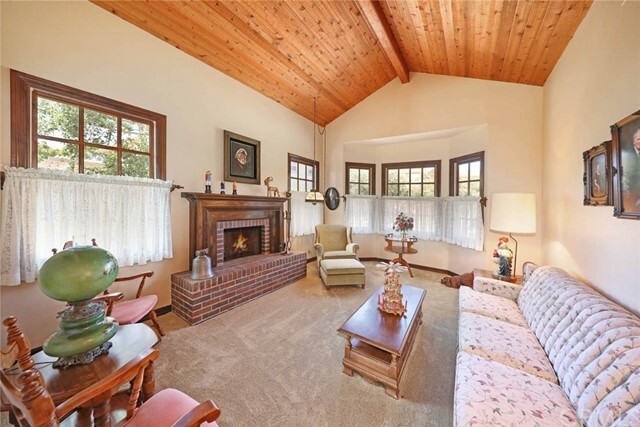 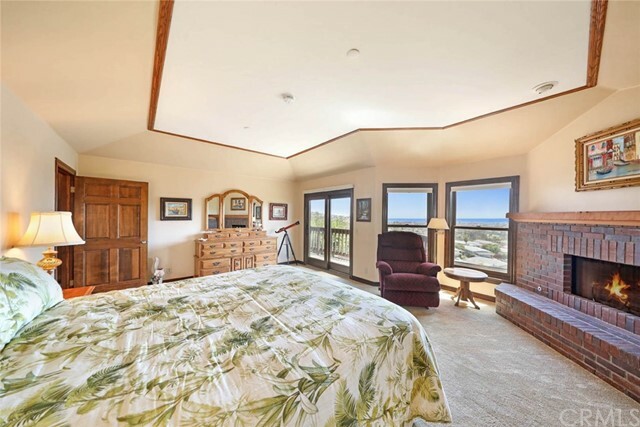 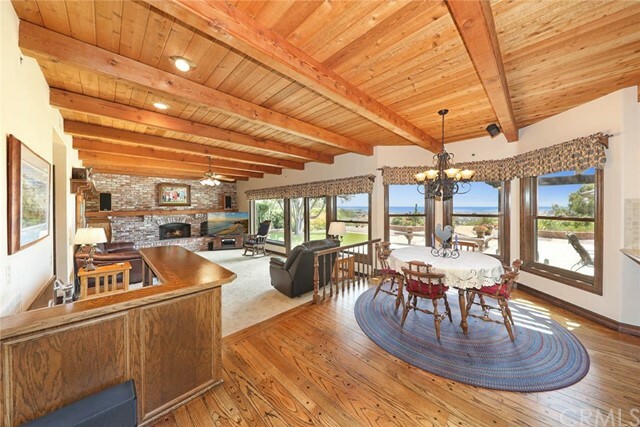 ft. of living space, 4 bedrooms, 3 full baths, 3 fireplaces, a main floor bedroom, impressive wood beam ceilings, hardwood flooring, large remodeled kitchen with center island, double ovens, built in Sub Zero refrigerator, trash compactor & ocean views from almost every room of this unique property. 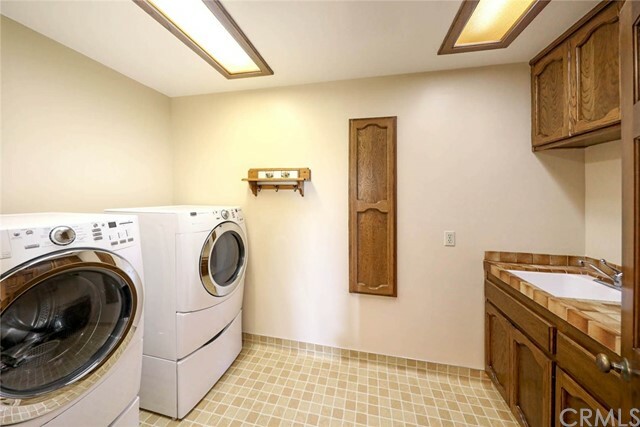 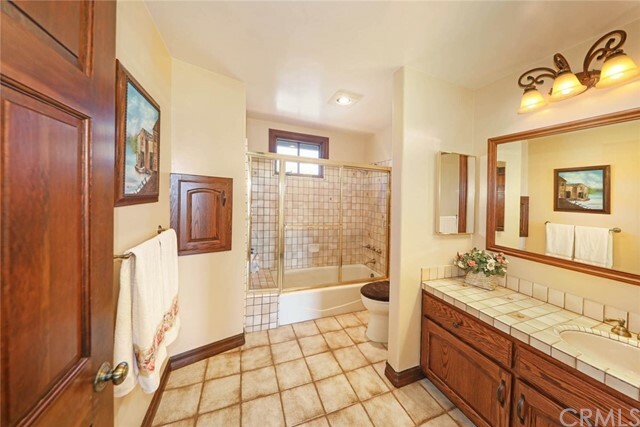 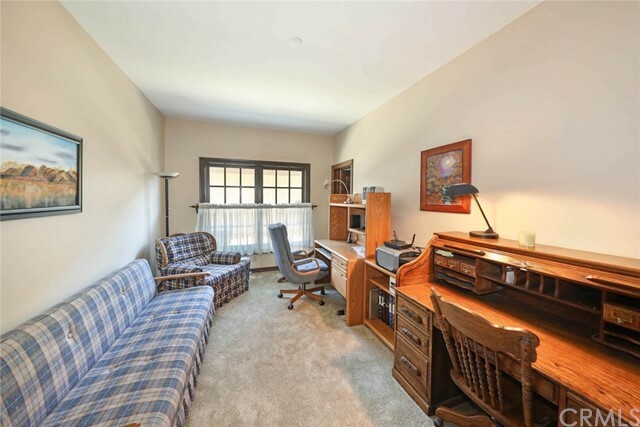 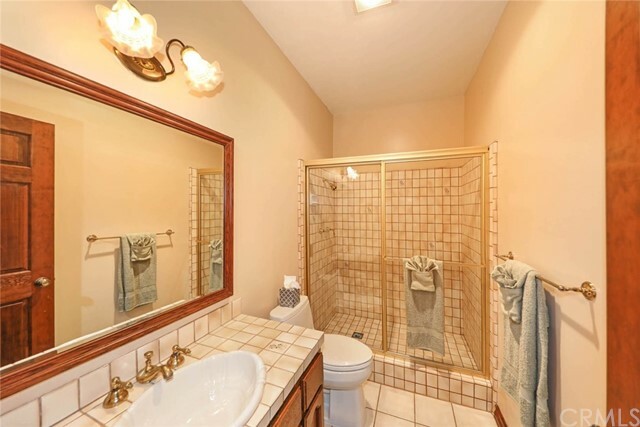 The home has an abundance of storage throughout, inside laundry room with sink & clothes chute, 3 car garage, a newer roof, quality Andersen windows, newer carpet, fresh paint & plumbing has been recently re-piped. 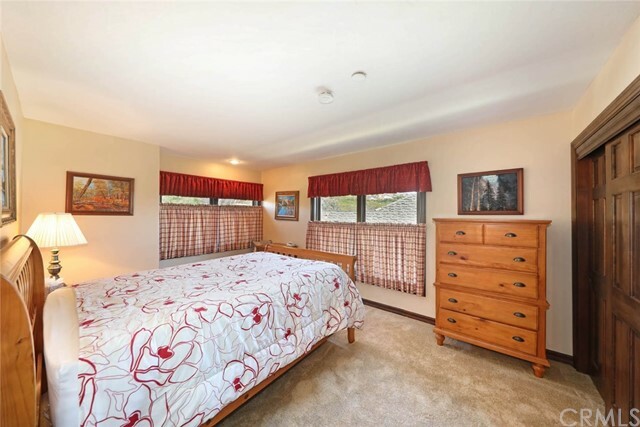 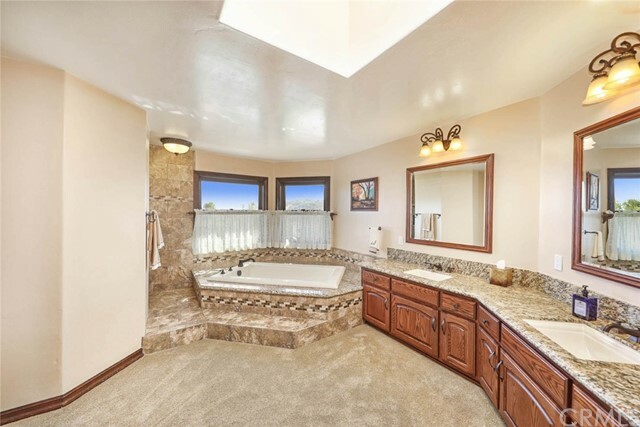 The spacious Master Suite is enhanced by a fireplace, balcony, his & hers walk in closets & remodeled bathroom with dual sinks, soaking tub, walk in shower and granite counters. 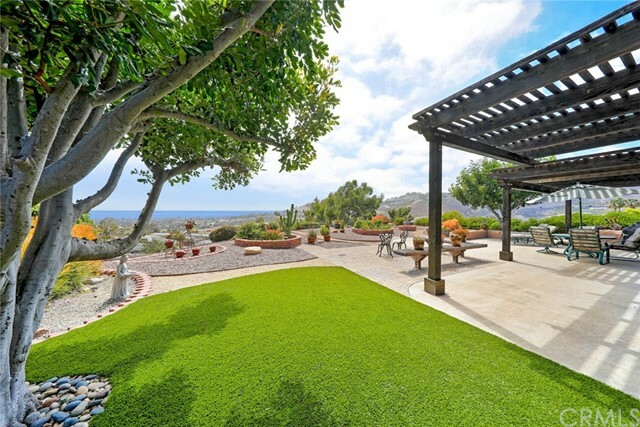 The exterior features multiple sitting areas, a covered patio, built in BBQ, artificial turf, raised planters & a large balcony. 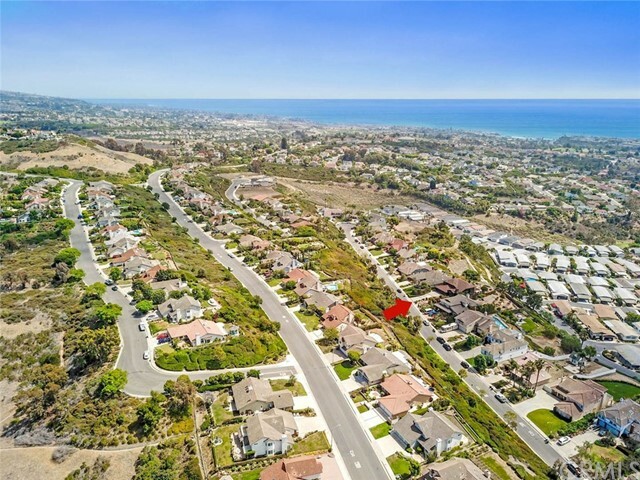 Conveniently located near award winning schools, shopping, restaurants, beaches, golf courses, hiking trails, Outlet Mall & easy freeway access.